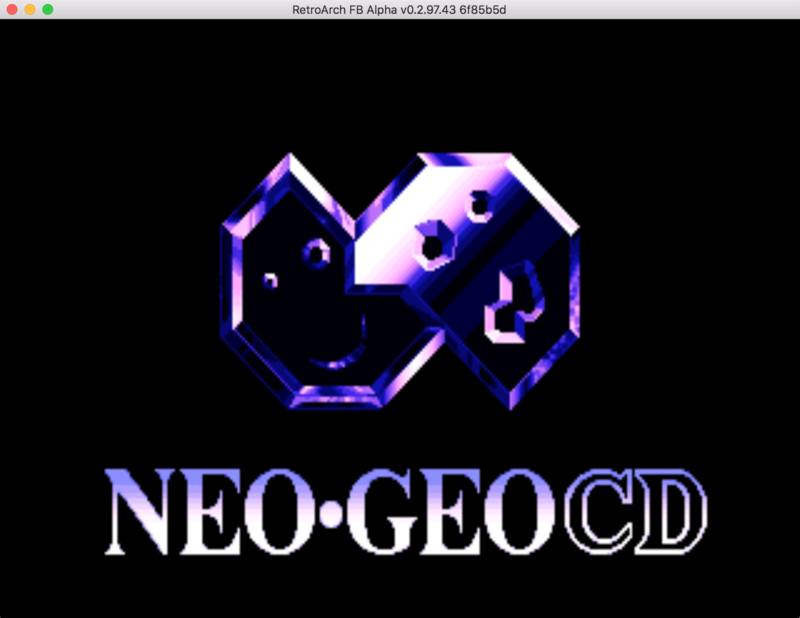 This guide describes how to setup game files to play Neo Geo CD (NeoCD) using FBAlpha. Most of the time the graphics were butchered on NeoCD. NeoCD lacked memory, so they had to remove things when the AES/MVS version of the game was “too big” (which is generally the case on most recent games). Music / Soundtrack / and Completionist-itis are usually the only reason you might want to try and emulate this system for any particular game. You can also emulate NeoCD with MAME/MESS and the proper MAME romset/chd set. See the guide here on how to use that core. That being said, here’s how you can do it with FBAlpha. FBAlpha can play games in single bin/cue (redump) format or ccd/sub/img (trurip) format. If you have a game in multiple bin/cue format you need to reformat it into one bin file. FBAlpha does not currently support CHD format, to play CHDs use MAME. FBAlpha does not support iso format. 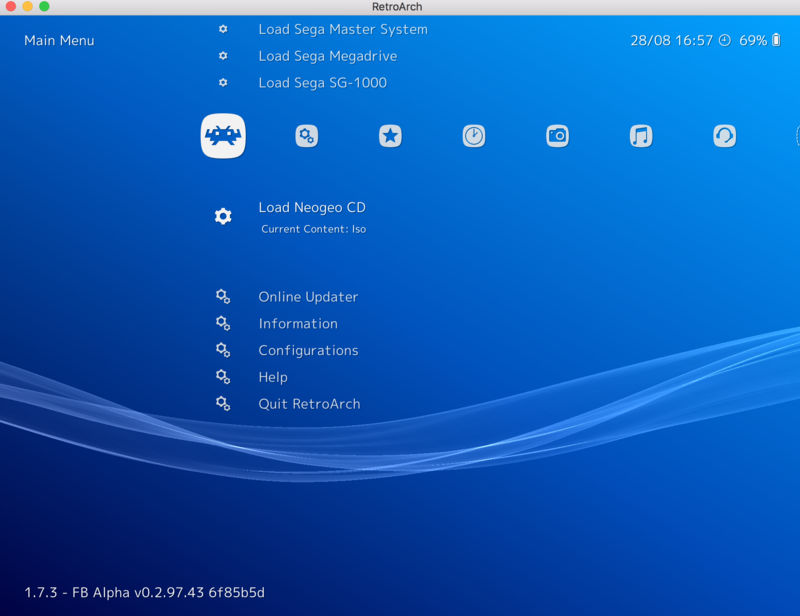 Now back in the Retroarch GUI you will see a new subsystem menu, select Load Neo Geo CD, then choose the CUE file. 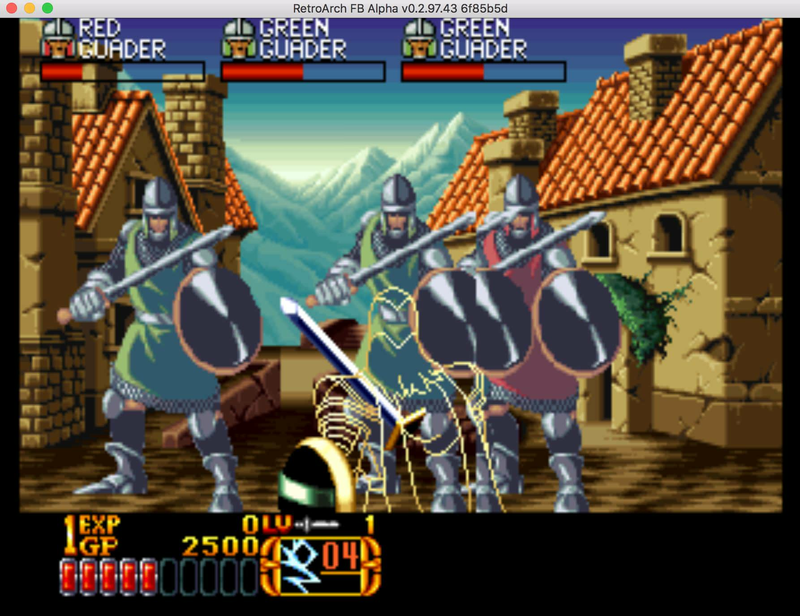 "...\path_to_program\retroarch.exe" -L "...\path_to_cores\cores\fbalpha_libretro.dll" --subsystem neocd "...\path_to_retroarch_game_directory\Neo Geo CD Games\League Bowling.cue"
/Applications/RetroArch.app/Contents/MacOS/RetroArch -L "/Applications/RetroArch.app/Contents/Resources/cores/fbalpha_libretro.dylib" --subsystem neocd "...\path_to_retroarch_game_directory\Neo Geo CD Games\League Bowling.cue"
Happy Neo Geo CD Gaming! Does the Final Burn Alpha core play the BIOS Boot Sequence prior to loading the game? Or does it just load straight into it? It’s kind of a ‘make-or-break’ feature for me on picking what cores to play games in - like I won’t use the Dolphin core yet because it won’t play the Gamecube’s boot sequence. I’d love to use Final Burn Alpha though, as Neo Geo AES is the only system I have configured for that core as it is. You need any Certain Version of Bios and Roms/ISO’s? I used the latest available BIOS, and didn’t have any problems. I can’t say for sure if the rom set matters, everything I’ve tried seems to play though, so I’m guessing not. 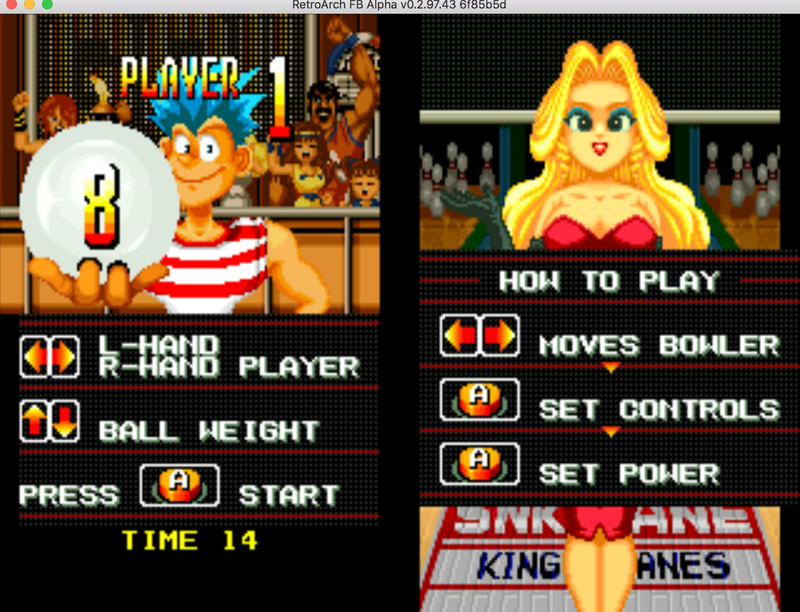 Quick question: how different is from mame / mess emulation? I’m using mess, and chd support is great, but the performance isn’t that great. I mean, on my devices the speed is perfect, but I have a Moto Z2 Force and a Shield TV, I’d like to run NGCD on a ouya, for example. Is this possible?! Just based on my experience, I’d say FBAlpha is far less intensive than both MAME and MESS. Retroarch FBAlpha has the overclock option as well, which I think can help with less powerful systems. Great guide, it’s going directly to my bookmarks, it actually works even on Android, do the music tracks play correctly for you? I tried Crossed Swords 2 and only the sound effects work, my rom has all the respective mp3 files and cue file. Anyway what other neogeo cd games you guys recommend? Which ports are actually better than the neogeo arcade ones? That’s a shame, so no roms with .mp3 files music works? Has anyone tried Crossed Swords 2? So does the games you have tried the music works? What roms are you using? Well, can’t make it work on android. “Failed to load content” is the message. I have had the issue where it fails twice. Try selecting the Load Neo Geo CD option again, and choose the ISO file. It for whatever reason sometimes works on the first try, and sometimes the second. This option won’t even appears to me. The only game that works with music I have tested is puzzle booble because it has no mp3 tracks, I hope the music gets fixed some day, with this core you get great performance on Android. The standalone release of FBA supports playing Neo Geo CD games, which hasn't been implemented in the libretro port yet.